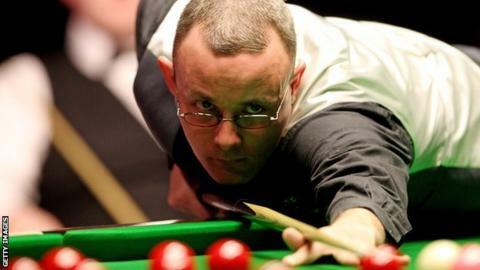 England's Martin Gould beat Belgian Luca Brecel 9-5 to claim his first ranking title at the German Masters in Berlin. Gould, 34, who had lost his two previous ranking finals, won four of the six evening frames to take the £61,500 first prize. "It is nice to finally have my name in the winners' enclosure," he said. Gould, who started the event ranked 20 in the world, will return to the top 16 for the first time since 2012. The Londoner recovered from losing the first frame at the Tempodrom to take a 5-3 lead with a 104-break at the end of the first session. He followed it up with a 110 break in the first frame of the evening session in front of the 2,500 crowd and continued to dominate with his superior potting and safety. "It is fantastic, unbelievable. I have worked so hard for this," he said. "I felt so good this week that I even booked my flight home for Monday. I felt something was going to happen this week."